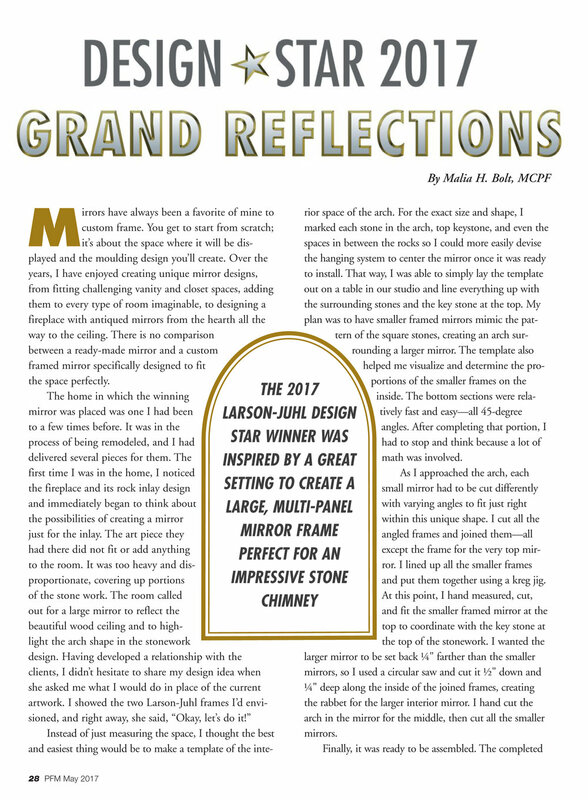 The title of 2017 Design Star was awarded to Malia Bolt for creatively framing a custom mirror. The innovative design included 28 small Spencer frames placed inside of an oversized large Spencer Float frame. The arrangement was both artistic and elegant. Installed above a dramatic, large rock fireplace, it instantly became the focal point in the room. 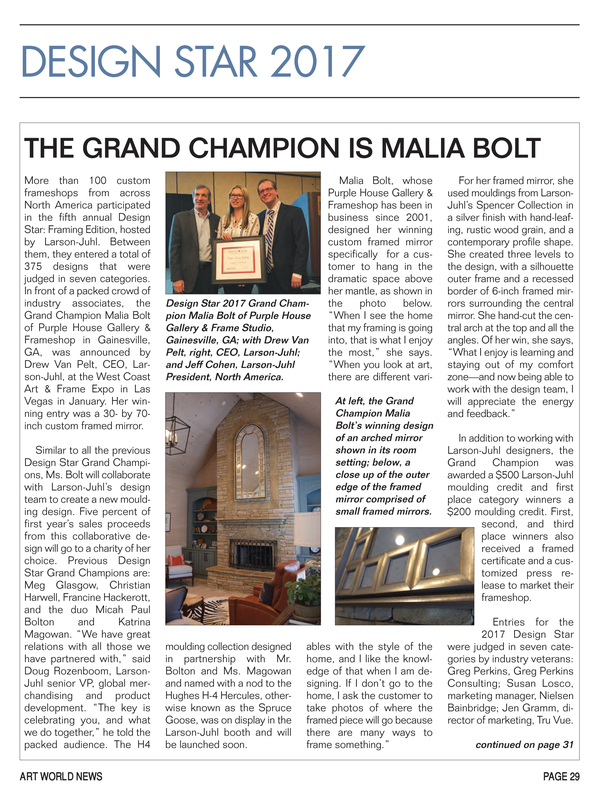 For winning the Design Star title, Malia Bolt will collaborate with the Larson-Juhl Design Team on a new moulding collection to be launched at the 2018 West Coast Art & Frame Expo and will also receive a $500 Larson-Juhl credit. In addition, 5% of the proceeds from the first year of sales for Bolt’s Design Star collection will be donated to the charity of her choice.